Cable Ties (also known as wire ties or zip ties) come in a variety of types and sizes. They are used to bundle and secure wire and cable. 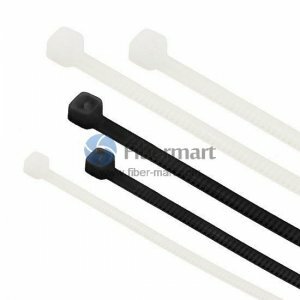 Fiber-Mart as a professional fiber optic manufacturer offer a full line of high quality cable ties in a variety of styles, sizes, materials, and colors. Nylon Cable Tie is the common form which consists of a tape section with triangular teeth that slope in one direction. We also supply Magic Velcro Cable Tie. Our cable ties are engineered and manufactured for maximum performance and quality. Buy other cable management products, such as Wire Loom, Cable Wire Marker.